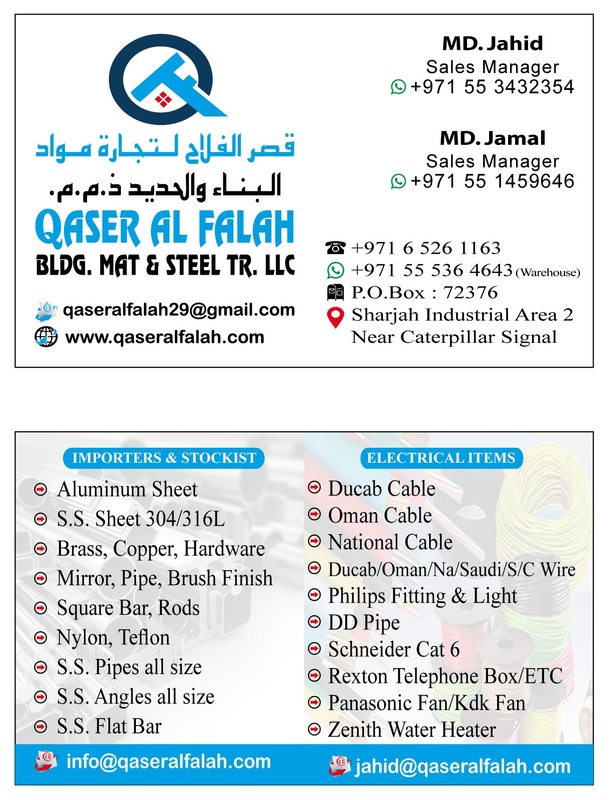 Qaser Al Falah Builiding Materials & Steel Trading LLC is one of the most active and diversified aluminium trading company based in Dubai and Sharjah, U.A.E. The company was established in the year 2016. Mr. Jahid is the Managing Director with full powers of the company executive. Our organization operated by well-qualified and skilled employee with professional approach to business and experience has facilitated for a better and Reliable Customer Service. We have our offices situated in convenient locations, which help us respond to our customer’s requirement on time. We believe only customer satisfaction can drive our business. Trust and reliability, which come from the successful business relationship, is the most important factor for smooth running of the business.